Few people could imagine that nowadays a Lancia Stratos could win the Rally Historic European title but it happened. 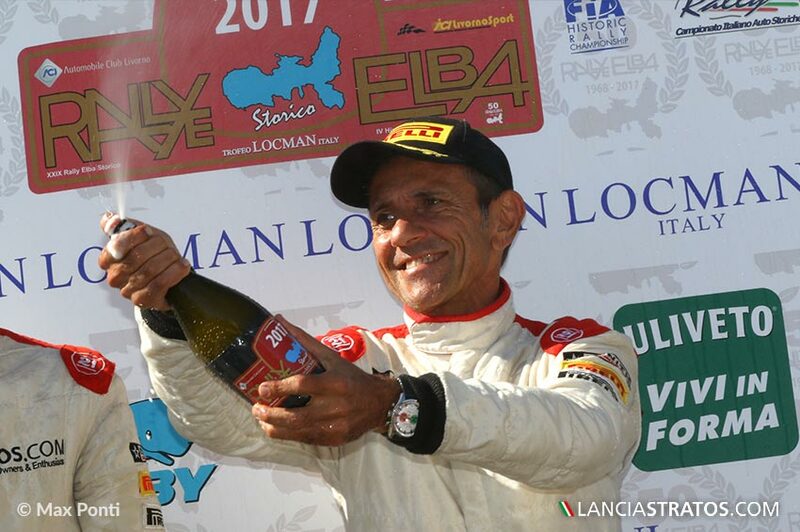 Erik Comas and Yannick Roche have won the Rally Elba Storico becoming the FIA 2017 European champions. The queen of rally, thanks to Zenith El Primero Stratos Team, got its 4th European title after those won in 76, 77 by Darniche/Mahé and in 78 by Carello/Perissinot. The competition took place in the Tuscany island from the 21st until the 23rd of September and showed a battle very similar to the one seen in Rally Alpi Orientali three weeks ago among Comas, Lucky on the wheel of his Lancia Delta Integrale 16 V and Lucio Da Zanche on the Porsche 911 RSR 3.0l. The top drivers of Italy and Europe were there ready to fight until the last mile of the last special stage. 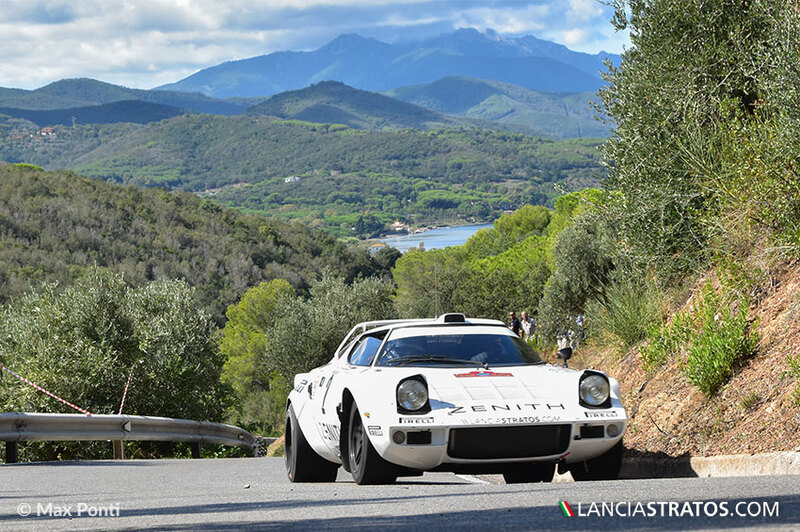 After three days of race on Elba island's mixed sliding fast and twisted roads, the suspens reach its highest point on the final two stages as the gap was only of two seconds. But Comas managed to increase again to 4.8sec before the ultimate stage along the sea side, very slippery and favorable to the 4x4 Delta. The tension was extreme before the very last stage and the expectation immense for both drivers willing to win. The Stratos was sliding on the fast sections but using the all road in order to maintain the speed motion, Erik delayed any breaking point and was very delicate on the throttle to get the best possible traction with only two rear wheel drive. But mainly he impressed all on the last 3km in descent pushing to extreme limit to recover time, closing the stage only 0,6 sec gap behind the 1989 Delta and therefore clinching his third overall win of the season. An impressive performance when you compare both cars obviously not in the same category, one with fuel injection, turbocharger and 350hp but also four wheel drive, the 1974 Stratos with 240 hp with carburetors. Twentyseven years after winning the 1990 FIA F3000 European championship title, the ex F1 driver declared at the podium finish: "This is one of the best day of my life, I have dedicated so much to make the Stratos winning again, after doing the website, the book, winning the Italian title in 2015, organizing the World Stratos Meeting in 2016 and now winning the highest honor in historic motorsport. I cannot be more happy. Yannick has been a dream co-driver as always on last two years. First I want to personally thank Aldo Magada the ex CEO of Zenith Watches for having bet on this success to promote the Swiss brand from LVMH group. 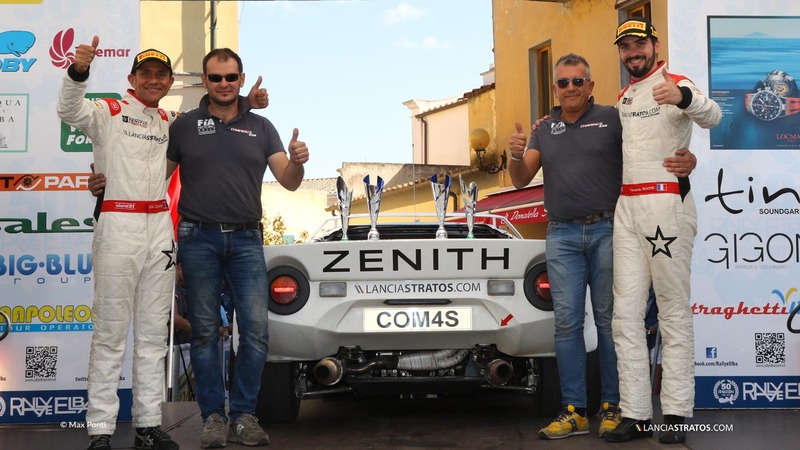 But today I want to call on the podium the one that took such a good care of my Stratos to make it winning three times this season; Andrea Chiavenuto. He managed where others failed to make the Stratos reliable and winning again with modesty and honesty not commun. Big thank to Cesare Fiorio also, without whom the Stratos would have never been. Finally but not the least a big thank to Raffaella who has been essential in putting together the Italian connections in order to built the dream team to realize what many thought impossible after 40 years". 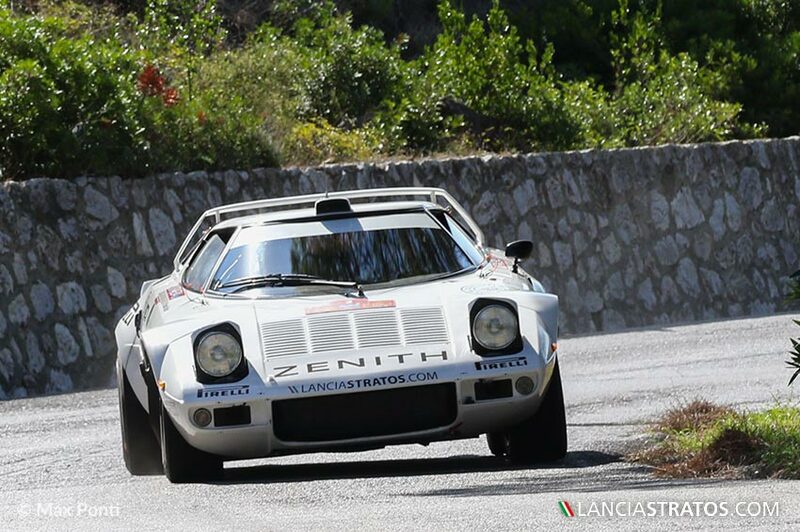 As in 1977, it is a French crew (Darniche/Mahé) on a Stratos prepared in Biella (Maglioli) that win Elba and the European championship title, an anniversary date always precious to the Frenchman as shown last year during the World Stratos Meeting.